We are all seeking ways to prevent or slow the progression of diseases. We take our vitamins and get our annual physicals, but is it enough? Can A Mediterranean Diet Prevent Dementia? We may choose a diet to lose weight, but what about eating to prevent diseases like dementia? Researchers think that a tool for preventing cognitive decline lies somewhere in your pantry. 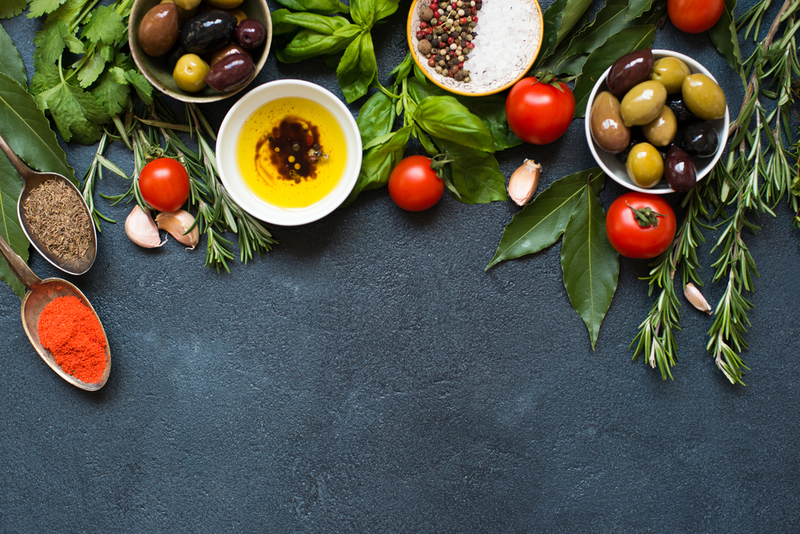 The Mediterranean Diet’s guiding principles include foods like olive oil, whole grains, fruits, vegetables, and monounsaturated fats. Cognitive decline can be associated with oxidative and inflammation damage. Both types of damage can be positively impacted by this antioxidant-rich meal plan. 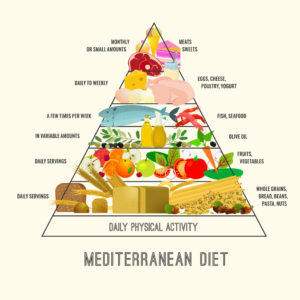 There are a few key hallmarks of the Mediterranean diet, which include eating plentiful vegetables, fruits, and legumes while eating moderate portions of fish, nuts and seeds, and dairy such as yogurt and cheese. One other key to the Mediterranean diet is the limited amount of meat that is included – this means that to follow this eating pattern you may need to reduce the amount of red meat that you eat \n favor of more plant-based meals and fish. 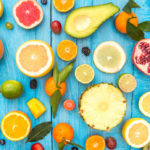 When thinking of fruits, adding a variety of colors to your diet will bring many benefits. Dark colored fruits such as blueberries and cherries contain antioxidants and one type of which known as flavonoids have been linked to improved memory. Other fruits such as strawberries, oranges, kiwi, and papaya contain higher amounts vitamin C which is important to healthy brain function. Just as with fruits, the greater variety of vivid colors that you can add to your diet, the better. Deeply colorful vegetables contain carotenoids such as lutein and zeaxanthin which have been linked to maintaining healthy brain function. 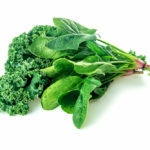 You can find these in high amounts in leafy green vegetables such as spinach, kale, and collards, as well as winter squash, pumpkin, Brussel sprouts, and broccoli. Legumes contain antioxidants that are beneficial in maintaining cell function and in disease prevention. Also, they are abundant in B vitamins including folate, which when included in a healthy diet may impact risk for dementia. Legumes are a great way to add protein to your meals without turning to meat. 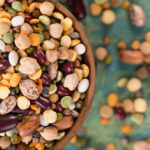 Think lentils, black beans, kidney beans, peas, and soybeans (edamame) – these are just a few of the many varieties of legumes you can add to your diet. Many of the health benefits of the Mediterranean diet come from eating less meat, and adding in moderate amounts of fish to your meals. 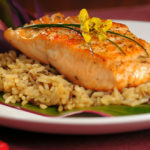 In particular, oily fish like salmon, herring, sardines, mackerel, and anchovy contain omega-3 fats which have been found to reduce inflammation and improve blood vessel function. These benefits can extend to the brain and may impact your risk for mental or physical decline often associated with aging. 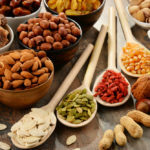 Another way to add a healthy boost to your diet is through nuts and seeds. Nuts and seeds are a staple of the Mediterranean diet. They contain antioxidants to benefit your health. Walnuts, flax seeds, and chia seeds all contain omega-3 fats to fight inflammation in the body. With nuts, be mindful of portions, because while healthy fats are beneficial, too much can lead to weight gain. Use these as an accent to your meals, or include a small handful as part of a healthy snack.